Replaces the files updated in the 1.32 update with 1.31 files to fix potential problems and incompatability with mods on the new update. A must if you want to use the free cam with 1.32. 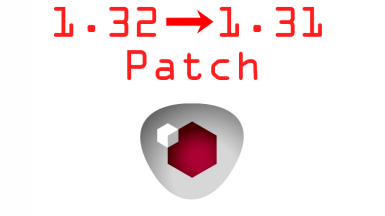 This mod removes and replaces all the changes made in the 1.32 update that came out today (2018/11/06) for those people who have had issues with it or want to use the debug console with 1.32. This mod is a must if you want to use the free cam with version 1.32. You must still reinstall mods that modify files in "The Witcher 3\bin\config"
This mod is only needed for the steam version of the game since the GOG version has yet to be updated. Tested and working on both the GOTY and non-GOTY edition of the game. Delete "cn.w3strings" from "The Witcher 3\content\content0\"
Extract this mod into the Witcher 3 Root folder. Say yes when it asks you to overwrite. Just replace the mods files with the ones you backed up earlier. - Rfuzzo for stealing my mod idea. - CDPR for releasing a 600mb update that isnt HDR.